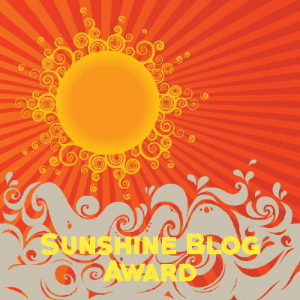 I want to thank Tessa from Advocate for Invisible Illness for the nomination to the Sunshine Blogger Award. Her blog is amazing and brings awareness to others about the stigma of invisible illnesses (ie: mental health and chronic pain). Take a few moments to check out her page. 1. Favorite vehicle? Right now I think the Hyundai Genesis is pretty slick. I’d love to have one. 2. Luscious dessert or something healthy? Something healthy most of the time. 5. Hot or Cold climate? I’d have to pick hot. 9. What languages do you speak fluidly? English….I used to be able to speak Spanish. 2. Favorite time of day? 7. Exerciser or Couch Potato? 9. What languages do you speak fluidly? 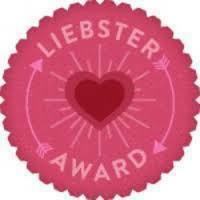 Thank you to my sweet, dear friend, Chris from Surviving the Specter for this award nomination. If it wasn’t for you talking me into this venture we call blogging, I wouldn’t be here writing about it right now. So I humbly thank you and graciously accept! 1. In what state and/or country do you live (if outside the U.S.)? I live in Virginia where I was born and raised. 2. What is your favorite genre of music and THE band that goes with it? I can listen to pretty much anything but as of right now I’m into hard rock/alternative rock and the band would be (without hesitation) Breaking Benjamin. 4. Where do you find solace? In my home with peace and quiet sipping a hot cup of tea. My German Shepherd, Rudi is also part of that solace for me. That unconditional love is like no other. 5. What are three triggers you have? The feeling of being rejected or abandoned; A date on the calendar that used to signify a special time in my life that is gone (ie: wedding date and now divorced); an argument with my mother. 7. What is a coping mechanism you use to combat your mental situation? I do my best to turn to God and pray. Spend time reading the Bible. 8. When you sit down to write a blog post, where does your inspiration come from? Normally it comes from my life experiences or about someone special in my life. 9. Right here, right now, say something to the person who has hurt you the most, beginning with, “I promise to…” I will respond to this question in a separate blog post and link it back to Surviving the Specter. 10. What one regret do you hold onto that you wish you could let go of? Allowing life to get in the way of the important things like family. In the blink of an eye they are gone and you realize you wished you’d slowed down and spent more time with them. I recently lost my uncle and it makes me wish I had just one more day; one more phone call; one more hug to give him. Life is short! 11. What’s the most valuable piece of advice someone has given to you? Silence is golden. My Dad always says that. He explained to me that it’s better to stay quiet when you are in danger of hurting someone with words you can never take back. 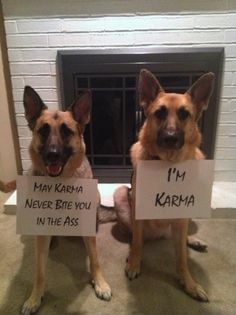 Oh, the damage words can do. 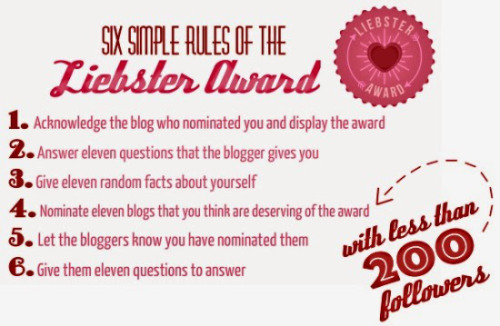 Here are my nominations – you can choose a minimum of 5 to a maximum of 11. I am choosing the following people because we have crossed paths in our blogging journey and I’ve truly enjoyed the interaction and beginnings of friendships. 1. Who is the most influential person in your life? 2. If you could live anywhere in the world where would you live? 3. How do you handle mental stressors in your life? 4. When you blog, where does your inspiration come from? 5. What is the biggest thing thus far you have learned in your life? 6. What is one quality that you think is most attractive in someone? 7. What type of music do you enjoy and name your favorite band? 8. What are you most proud of in your life? 10. What is your favorite life quote? 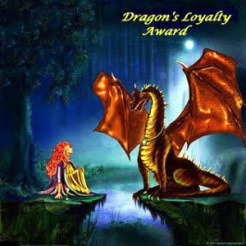 This is an award for the loyal fan/commenter, whether the recipient is a fellow blogger or just someone who follows and comments regularly. I am very humbled to be nominated by Freedom at Falling in LOVE with Freedom. It means the world to me! 2. I can play the violin. 3. I have watched the Young and the Restless since I can remember. 4. My Nana was the most influential person in my life. 7. After being married for 15 years and now divorced…I still believe in love!